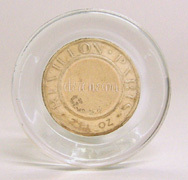 This overcap was used on a bottle made by Lucien Lelong for the fragrance "Mon Image." It is clear glass. Intaglio "LL" logo on top, chamfered corners and edges. Size: 3/4" h. x 1 1/2" square. Condition: Excellent -- no cracks, underside has 3 tiny flakes on the inside rim. This stopper was made by Revillon Freres for the fragrance "Detchema." It is clear glass. Label is embossed with the maker and fragrance names and the fluid content -- 2 oz. This stopper is for a bottle that measures 2 5/16" high (just the bottle). Size: Overall -- 7/8" h. x 1 1/2" diam. (at top of stopper). Stopper neck 1/2" long. 1/2" diam. (at top of neck). 7/16" diam. (at bottom of neck). Condition: Excellent -- no chips or cracks. This glass dome was used by the Erte perfume company (no relationship or connection with Erte the artist) to cover the "The Duke" or "The Duchess" perfume bottles that set in a base. 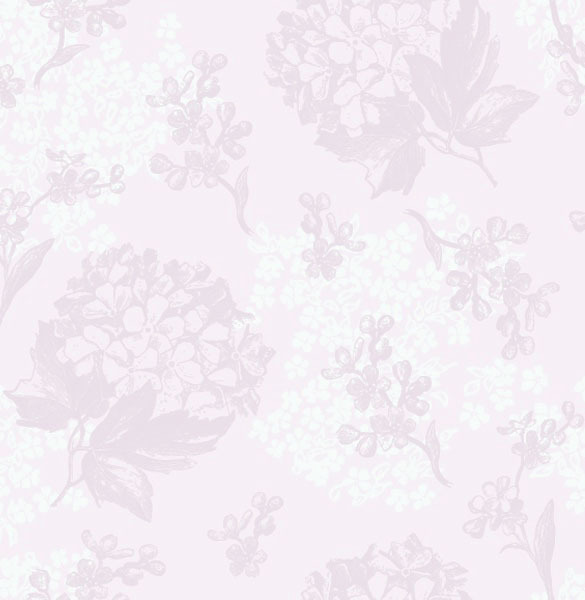 It has a stylized flower in the center of the top. This dome may have been used by other perfumers. Size: 4 3/4" h. Condition: Excellent, no chips or cracks. From Joan's stopper collection. This deco style arrow stopper was made by John Fredericks for the fragrance "Golden Arrow." It is clear glass and completely gilded except for the neck portion. The stopper was made in two sizes - this is the larger of the two. Size: 3 3/8" high x 1" wide (at widest point). Base of stopper neck: 7/8" diameter. Condition: Excellent – no chips or cracks; excellent gilding; teeny, tiny defect on one side. See additional photos. From Joan's stopper collection. 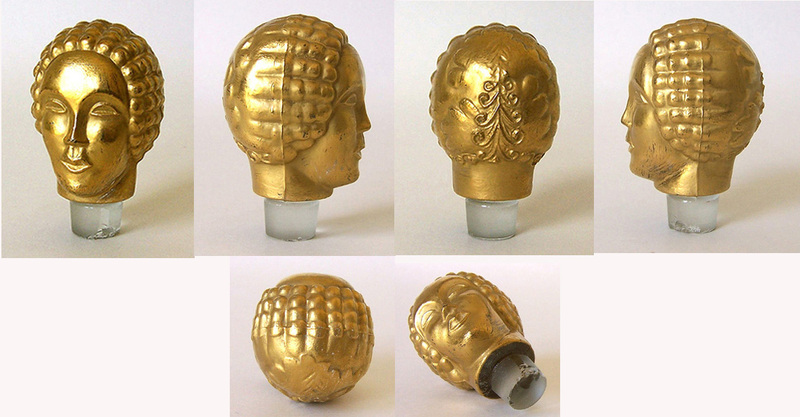 This deco stopper, replicating a woman's head, was made by Hattie Carnegie. It is clear, solid glass, and completely gilded. It was used on the bust bottles which were produced in 4 sizes. This stopper is for the largest size which is 4 1/8" high -- including the stopper. I put this stopper in my bottle -- it was a perfect fit! Size: 2 1/4" high x 1 3/8" wide (approx., at widest point). Base of neck: 1/2" diameter. Condition: Very good – sliver chip and small chips on side of neck, surface chip on bottom of neck. Gilding – MINT – areas that appear to be worn (cheeks and eyebrows in photo 1) are reflections – and (jaw/neck area in photo 4) are brush strokes from the original gilding. The chips do not affect the way the stopper sets into bottle. See additional photos. From Joan's stopper collection. 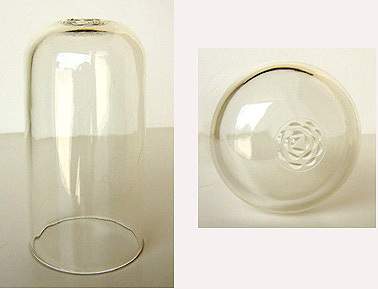 This very large and heavy clear glass stopper was made by Guerlain for a 4.2 fl. oz., blue flashed bottle for e.d.t.. Gilded lettering on the front – "Guerlain, Paris." There is a plastic band around the center of the neck. This stopper would have been on 6 1/4" high bottle (overall height, including the stopper). Size: 2 1/4" high x 1 15/16" wide. Base of neck: 9/16" diameter. Condition: MINT. See additional photos. GUERLAIN, LARGE SHALIMAR, BLUE GLASS, AIR MAIL/AVION, STOPPER ONLY FOR PERFUME BOTTLE, c.1940s? From Joan’s stopper collection. 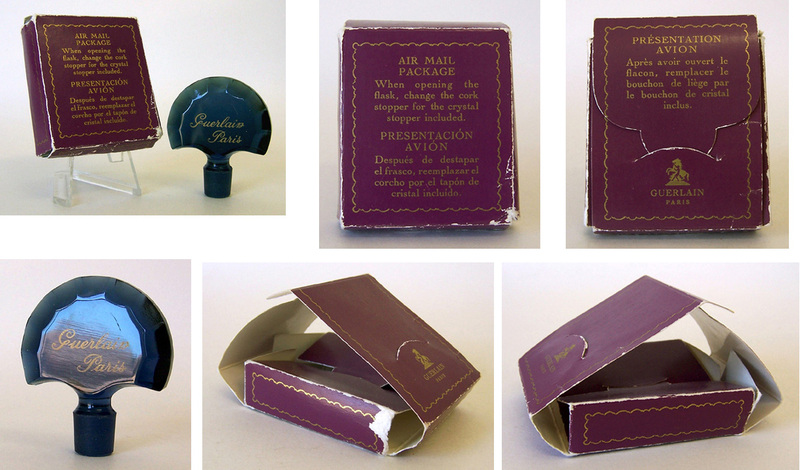 This very large and heavy blue glass stopper was made by Guerlain for the Air Mail (Avion) version of the Shalimar bottle. 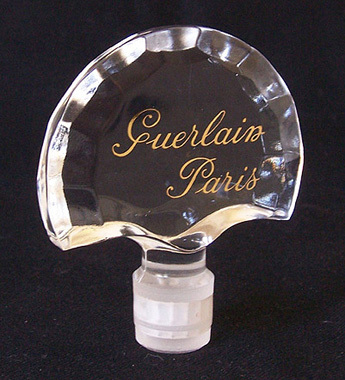 Gilded lettering on the front – “Guerlain, Paris.” This stopper may be for a 6” high bottle (overall height, including the stopper). Size: 2 1/4” high x 2” wide. Top of neck: 9/16” diameter. Base of neck: 1/2” diameter. Condition: Stopper – no chips or cracks; gilding mint; small scratch on front. Box – fair; one small internal flap on top is almost off, one small internal flap on bottom is missing, one bottom corner is missing purple paper; bottom is creased. See additional photos.